Estranged from her mother for twenty years, and having little memory of why she ran away at fifteen, Daydee returns to her hometown in Illinois when she’s told her mother has died. Daydee inherits land and cemetery business and begins to reacquaint herself with the people in town, but encounters everyone’s suspicions. As she finds out more about her mother and her affairs, she realizes much has been hidden from her. The properties were used for illegal activities and some of the town folk were in on it. Her mother’s accomplices want everything kept under wraps. Having worked as a call girl for most of her life and familiar with men, Daydee battles with starting a brand new life and makes friends with other people for the first time. 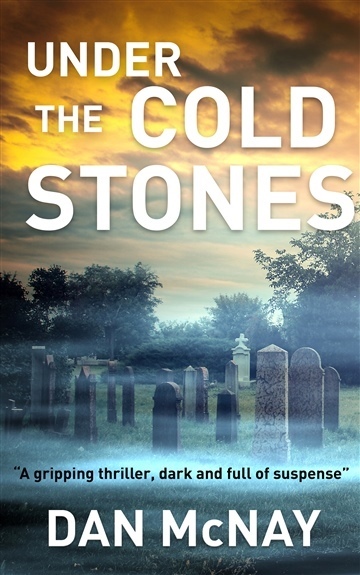 When she makes a chilling discovery in the cemetery and unveils what looks like a grievous crime, she is in danger and must use her hard won courage and wits to survive. Dan McNay has been writing since he was fourteen. Studied creative writing in a special program in high school, was an English major in college and later returned to work on his Master of Professional Writing at The University of Southern California. He has emerged from a dark and violent childhood to roam around the United States, looking for experiences that would make his art real. His muse has always been the kind of author he grew up on, Mark Twain, Sir Arthur Conan Doyle, & John Steinbeck. Authors that create characters that jump alive from the page with all of their imperfections. He also knows that you have live what you are trying to write about. All of his work contains the realities of his life. He actually ran the cemetery in Paris Illinois that he describes in this book. And he loves to entertain.